If your like me and you wouldn't be able to fit all of your makeup into one small makeup bag then this guide will be perfect for you. 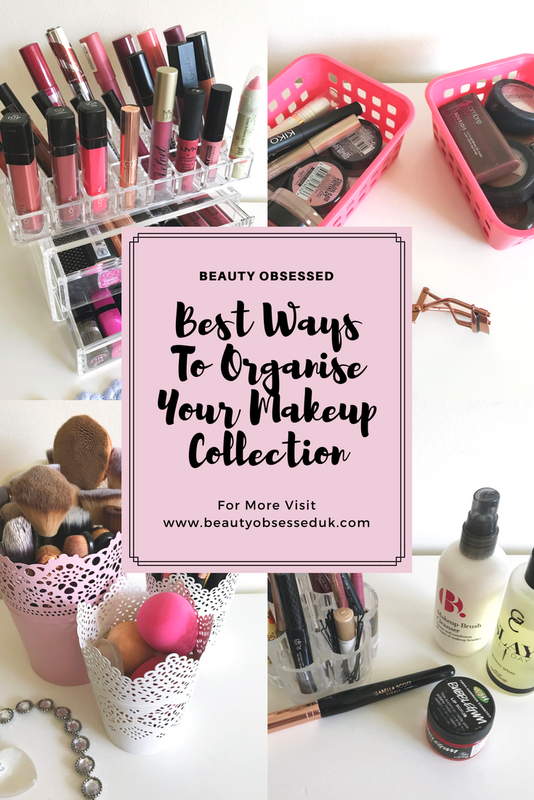 I will show you how I organise my makeup and give you tips on the best ways to organise yours on a budget because lets face it, it can get expensive! 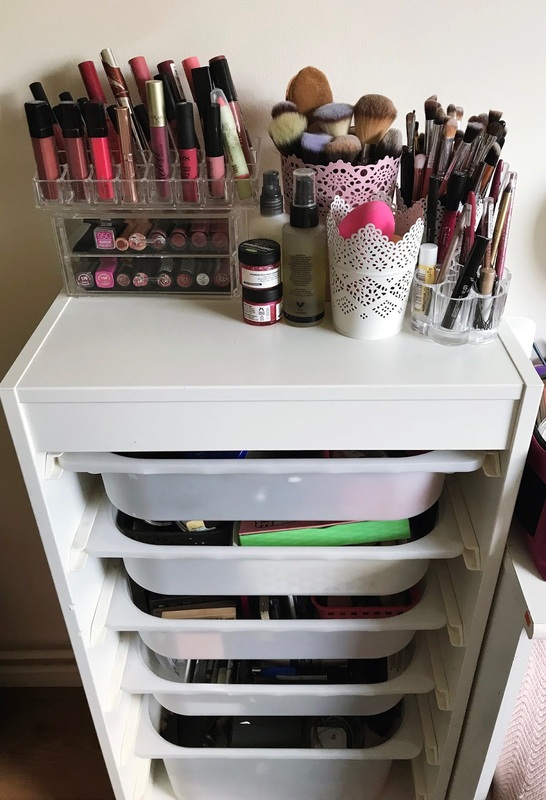 When I was getting makeup obsessed and my collection was growing I was looking everywhere for an affordable set of drawers to store all of my makeup neatly. I saw every Youtuber under the sun have the Ikea ALEX drawer which is quite expensive and I did seriously want it but as I was looking around Ikea I saw the drawers that I have now which are actually considered children's storage, which is the TROFAST Frame. With this frame you are able to customise which size plastic drawers that you would like. I have four small drawers that I use to store my makeup (they are only £1.50!) and one bigger drawer for hair products (£3). I was so happy when I found this set because of how good it is for the price and it looks different and is perfect for storage. I looked around for ages to find the right organisers to fit into my drawers because they are all different sizes and I just couldn't find the right ones. The ones that I finally found were actually from Poundland! These little baskets are the best! and they are so cheap because they also come in a pack of two. They also come in three colours Grey, Black and White. I chose to get the black and white baskets for my drawers. 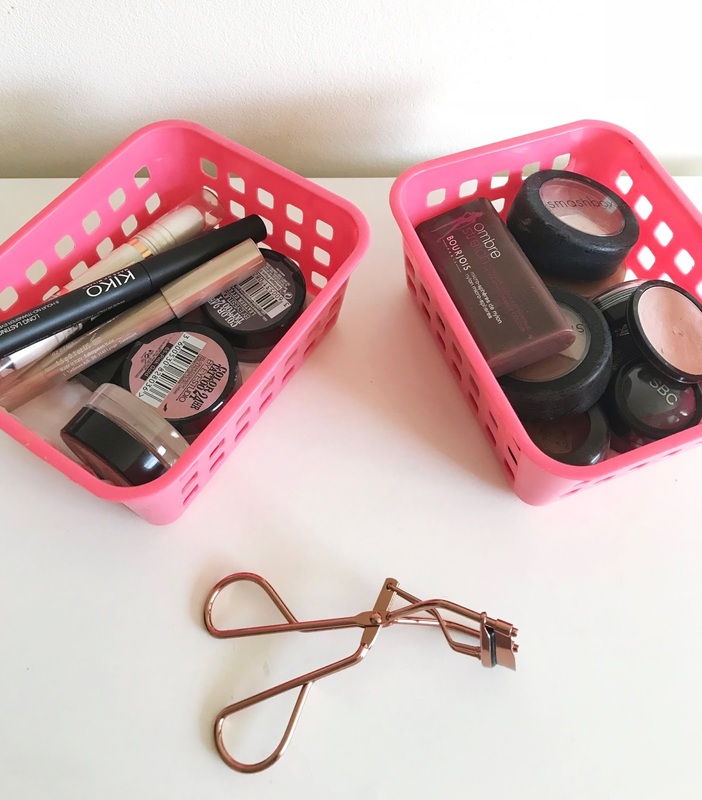 I also was able to find smaller baskets in a pink colour to put my single eye shadows and other bits in. 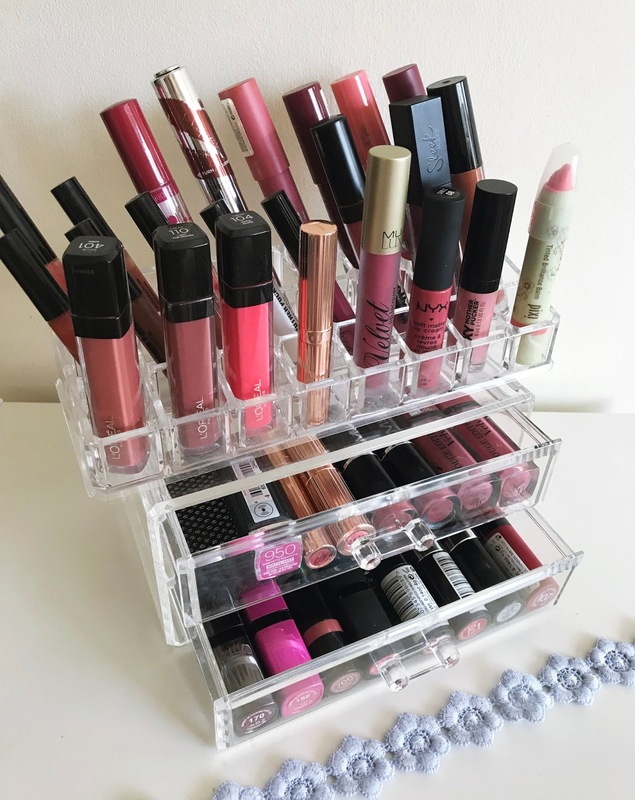 I've chopped and changed my mind on how to store my lip products for ages, I used to have a small desk drawer to store them but as my collection grew it just didn't work. Then I finally settled for the lipstick holders, for now all my lipsticks, glosses and liquid lipsticks fit (i'll probably need more as my collection grows). I also store my lip products in a small acrylic drawer which I actually got from Primark for just £4! 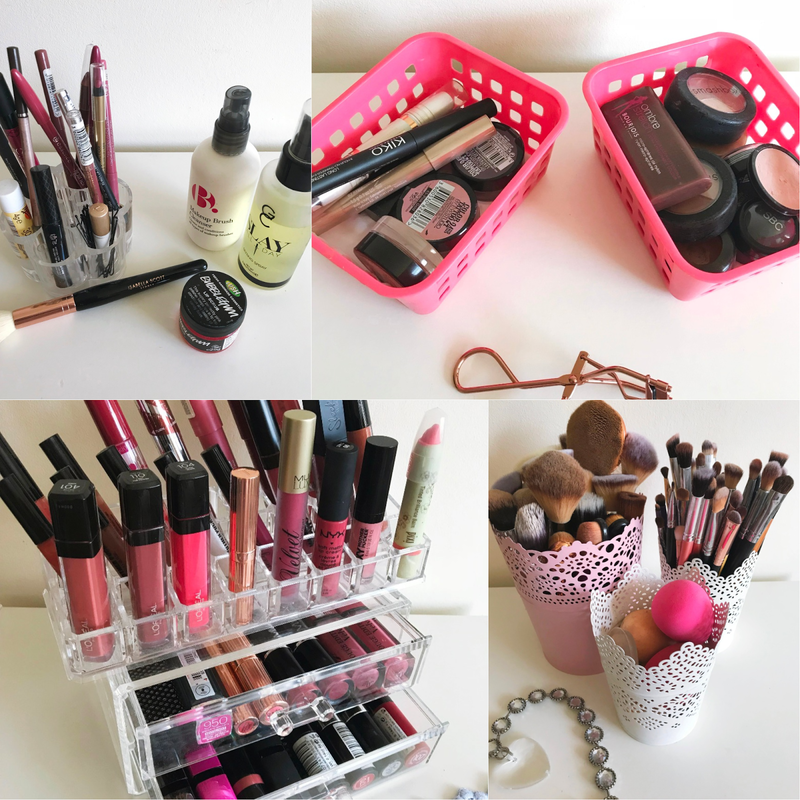 I am always on the look out for makeup storage which looks good and is affordable. I've recently been on a big internet search from Ebay to Wiko to The Range to find the best storage ideas for you guys for under £10! Here is what I've found. 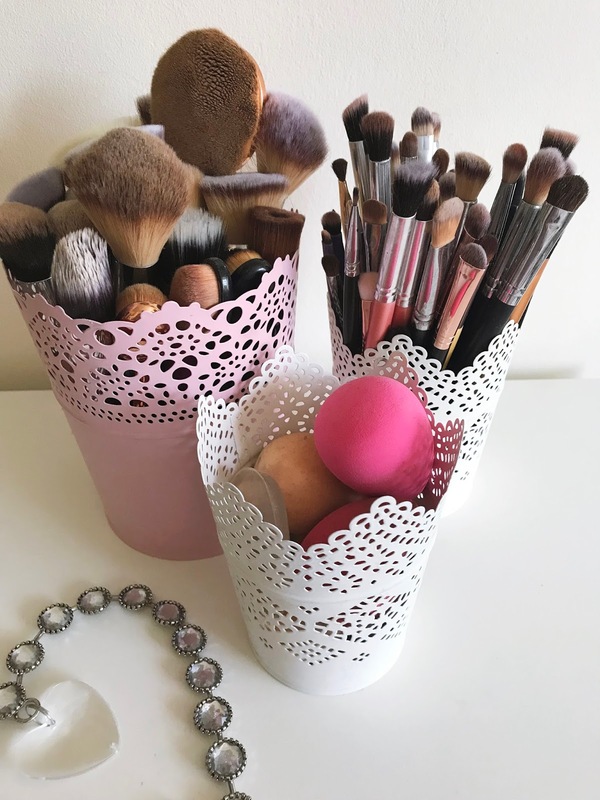 Most of the products that I use and that I have suggested aren't actually makeup storage but for the cutest looking items you have to improvise! 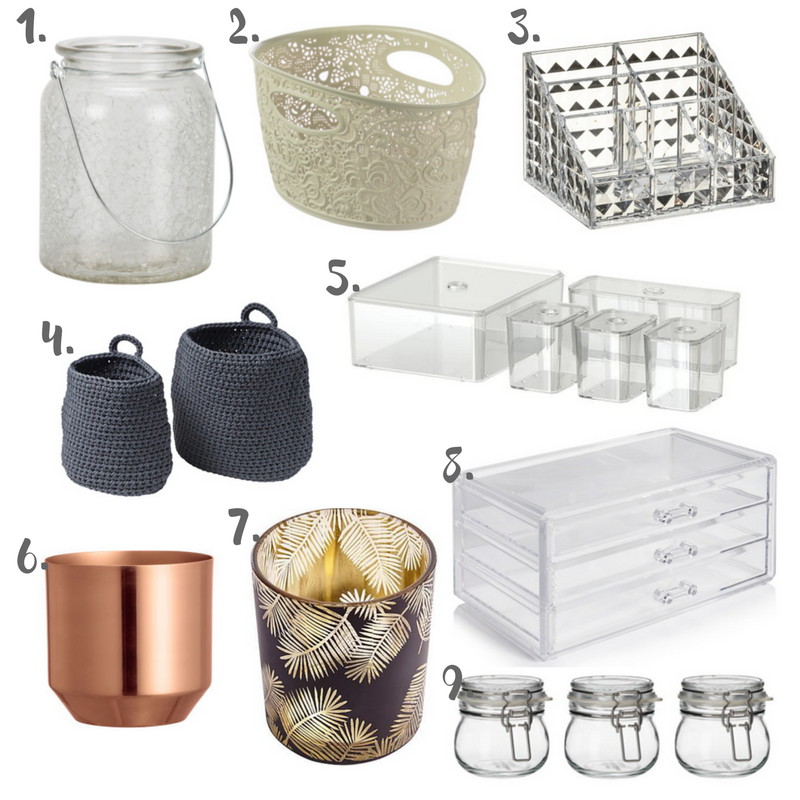 What are your favourite storage ideas?